The door is the first thing that guests notice while entering your home. So, it is important that you install a high-quality designer door at your residence. However, the people living in Florida are aware of the importance of a strong and reliable door. The state of Florida experiences frequent storms and hurricanes, damaging lives and properties. So, the door that you install should not only increase the aesthetic value of your home, but it should also protect your home from damages due to storms. It is very tough to limit the damages because of regular thunderstorms in Florida. With impact doors, you can easily protect your home and save your valuable items from getting damaged. After witnessing so many hurricanes and thunderstorms, the state of Florida has laid down some guidelines for constructing the homes and offices. According to the rules, the homeowners who build their homes should only use impact-resistant materials. The impact doors and windows greatly help in protecting your home from getting damaged. You can get impact doors in different sizes, shapes and designs to match the overall look of your property. 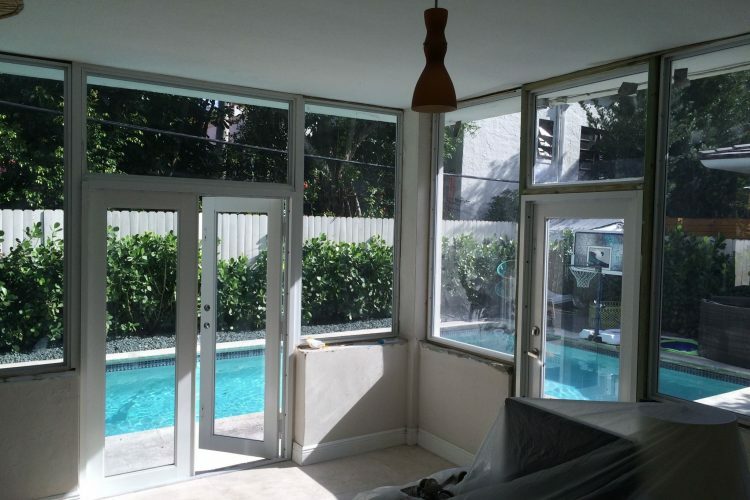 With the storms being common in Florida, impact doors are vital to reducing the damages. Impact doors are beneficial in many ways. They are durable and long-lasting and require lesser maintenance. The glass cannot break so there is no chance of any unauthorized person entering your home without your permission. When normal doors are installed in a home, the chances are more your home will get damaged due to thunderstorms. When the storms hit, the winds with very high velocity will easily shatter the glass of the normal door and enter the home. As a result, the pressure inside the home increases and this damages the entire structure. In case of impact doors, the high-velocity cannot shatter the glass and enter the homes, thereby protecting it. One variety of impact glass doors consists of transparent films on either side with single glass panel in between. In case of storms, when the winds hit the door and shatter the glass, the two transparent films on either side will hold the shattered pieces together. Another variety of impact door consists of a single transparent film with glass on either side of the film. The two glass panels are joined with the help of polyvinyl butaryl. This transparent film is responsible for keeping the glass panels together. This type of impact doors is very popular among the masses and is very effective in keeping the strong winds away. During the thunderstorms, when the strong winds shatter the glass, the transparent film holds the glass pieces and blocks the winds from entering the home. This will not only keep the structure of the home intact but also protect the valuables at home from getting damaged. As the hurricanes and thunderstorms are common in and around Florida, installing a high-quality impact door will save you and your valuables from getting damaged. 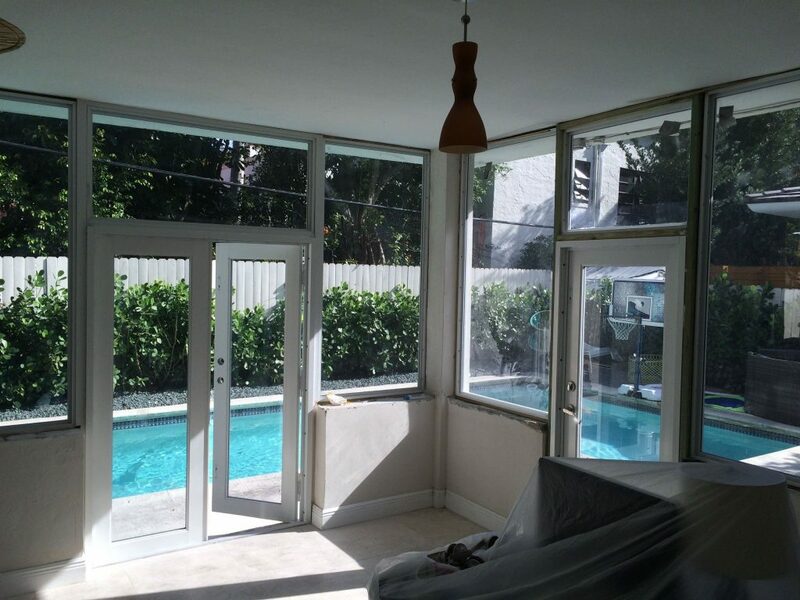 They are transparent and look like a normal glass door but provide security and protection from intruders and storms.